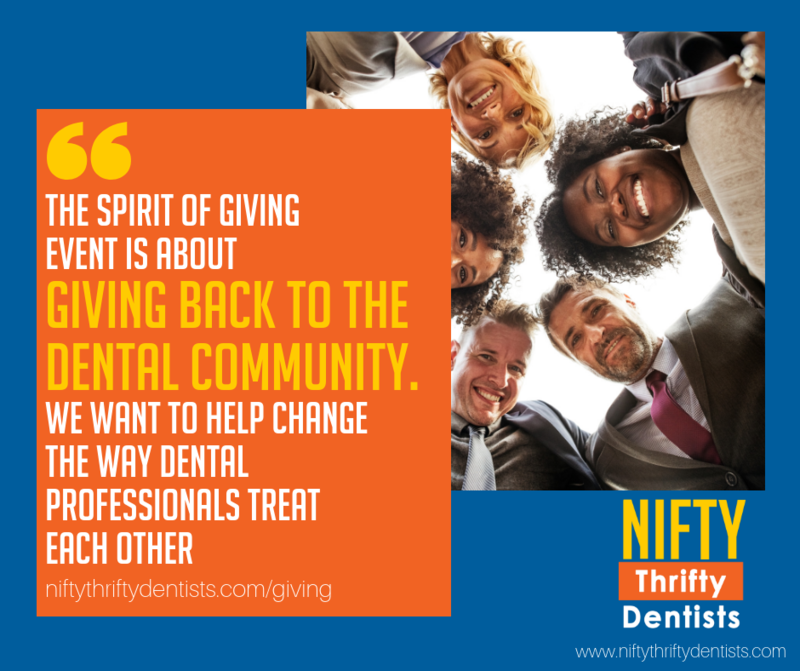 Nifty Thrifty Dentists is about giving back to the Dental Community. 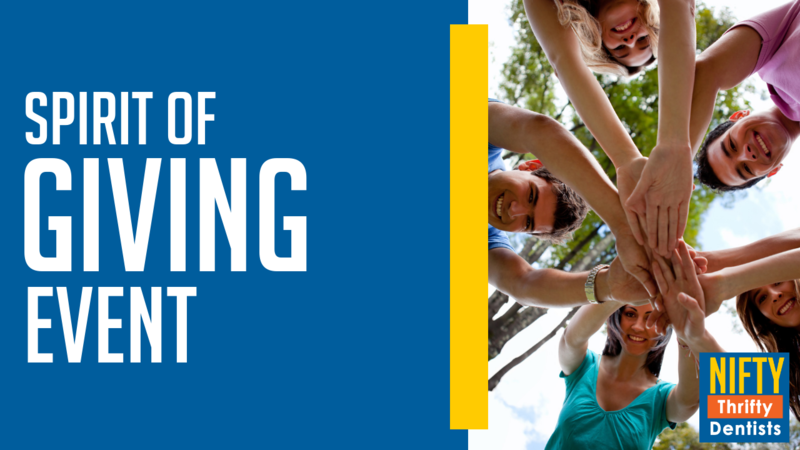 We negotiate discounts to help dental professionals save money and organize events such as the Spirit of Giving. My father’s words have stayed with me ever since. And now that I am in a position to help others, I want to reach out and encourage others to give back to those less fortunate. Many dental professionals in the world are suffering in silence. Maybe they’re too afraid to ask for help. Perhaps they’re afraid of the backlash they may receive from others. Or, maybe, they just don’t have anyone to turn to. 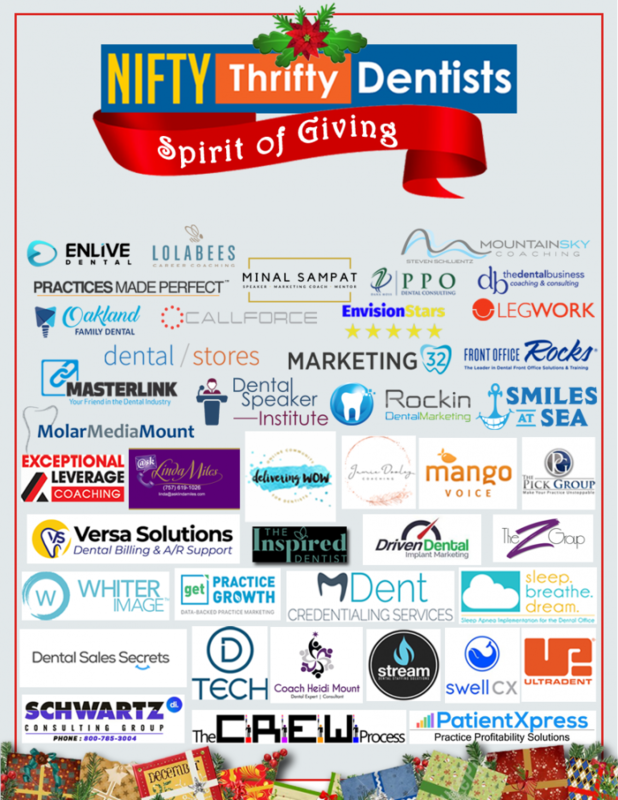 Whatever the case may be, the Spirit of Giving is an event I created to help give back to dentists who have had the courage to ask for help. We are truly overwhelmed by the generosity of everyone who donated their products or services to dental practices and dental professionals in need. Not only have we been able to help tons of dental professionals get honest and real about their needs and struggles, but we’ve also had companies from all over that have been willing to step up to donate their services, products, and expertise! If you want to find out more about the Spirit of Giving event, watch this video where I talk about it in more detail with my good friend, Elijah Desmond. We want to take this opportunity to thank each and every one of you who has donated over recent weeks. We’re truly grateful for the overwhelming amount of generosity you’ve shown dentists and dental practices in need. I want to say a very special thank you to each of the companies who donated to this wonderful cause.